You’ve journeyed into the dark countless times. You’ve faced hideous monsters and stunning betrayals, worked powerful magics, and protected the innocent across the realm of Terrinoth. 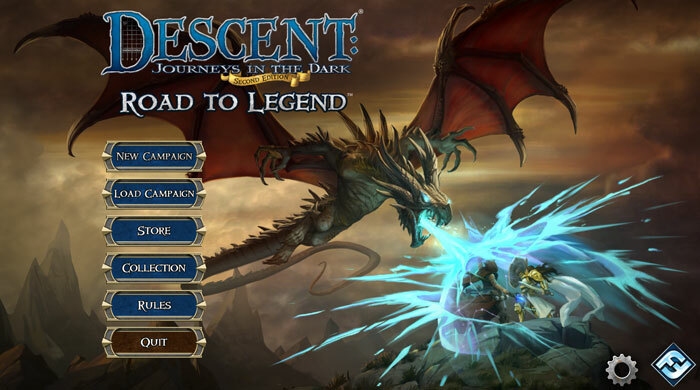 Now, you have the option to experience this world of danger and adventure in an entirely new way with Road to Legend, a free companion app for Descent: Journeys in the Dark that you can download for your iOS or Android device from iTunes, Google Play, or Amazon! For years, Descent: Journeys in the Dark has invited up to four players to embark on quests throughout the vibrant world of Terrinoth, matching their skills and their wits against the monsters and traps controlled by the overlord player. Road to Legend immediately adds a twist to that experience by inviting you to play Descent as a fully cooperative game. Rather than having a player control the dangers that lurk in the darkness, the Road to Legend app handles all monster actions and unexpected peril, freeing you and your fellow players to take on the roles of noble heroes. Although the Road to Legend app remains firmly rooted in the standard gameplay of Descent, several changes were made to gameplay, which we explored in our preview. As you take your first steps into Road to Legend, you’ll immediately notice that your quests are marked by a brooding feeling of mystery and exploration. At the beginning of a quest, only the first few tiles are placed on the board. 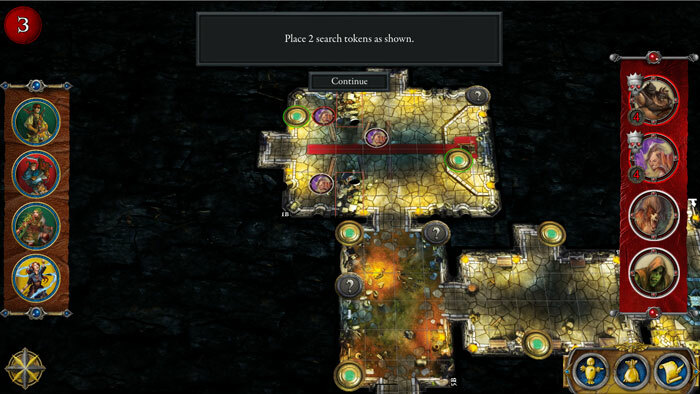 Tiles beyond are hidden from your sight by closed doors, and are only revealed and placed after a hero opens the door. When playing Road to Legend, you never know what lies around the next corner. It could be treasure beyond imagining or a pack of terrifying barghests. This preview also delved into the way that the app controls the monsters while you’re playing this cooperative variant. 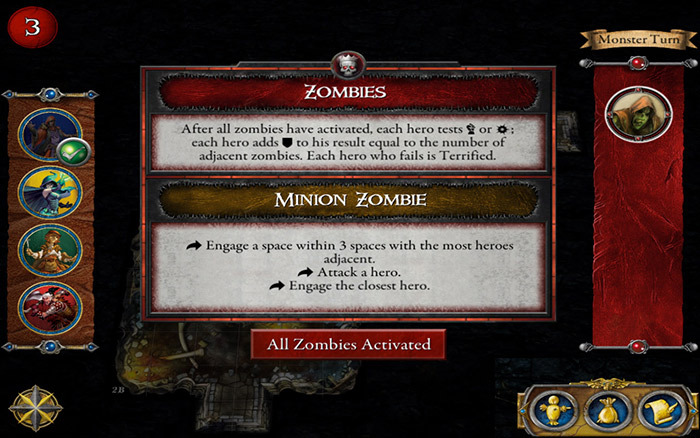 Each monster’s actions are controlled by the app, and unique, variable instructions allow the monsters to strike from range, attack quickly and retreat, or wade into a brawl with as many heroes as possible. With a wide variety of possible actions specifically tailored for each monster, you and your fellow heroes must use every ounce of tactical experience to gain the upper hand. Monsters aren’t the only danger you will face as you journey into the dark once more. In traditional games of Descent, a hero can be knocked out many times with no negative repercussions, but while playing Road to Legend, your morale is lowered each time a hero is knocked out. If your morale ever falls below zero, you are forced to retreat and immediately lose the quest! Furthermore, peril is always rising behind the scenes. It might seem like a good idea to take a few moments to catch your breath and heal, but every round you spend without monsters on the board causes your peril to increase drastically. You won’t know exactly how high your peril is, but if it reaches too high, you’ll face some truly deadly surprises. Road to Legend also gives you the opportunity to explore the realm of Terrinoth beyond the lonesome forests, ancient ruins, and dank dungeons where you complete your quests. 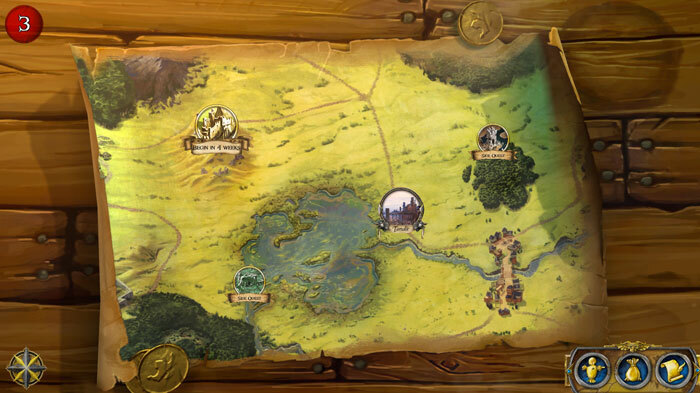 Between each quest, you can visit the cities of Terrinoth in order to gain new skills and purchase powerful weapons. Both your current inventory of items and each hero’s purchased Class cards are tracked from within Road to Legend, ensuring that you always know which cards to keep close at hand. The world of Terrinoth opens before you immediately after you download Road to Legend with the Rise of All Goblins mini-campaign. This four-quest campaign challenges you to help your erstwhile nemesis Splig against an unknown threat, and it includes a full, in-game tutorial explaining how to use the Road to Legend app. 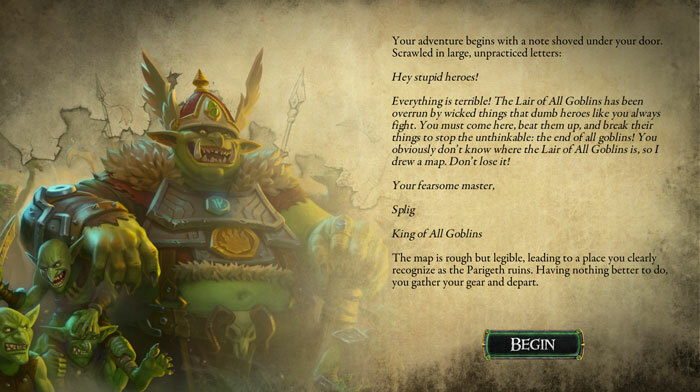 The Rise of All Goblins campaign isn’t all that’s in store for Road to Legend, however. An entirely new full-length campaign, Kindred Fire, will soon be released for Road to Legend. Featuring eight new story quests and additional side quests based on the expansions you own, Kindred Fire calls upon you and your fellow heroes to stand against the depredations of the dastardly Merrick Farrow. Finally, Road to Legend is inherently intertwined with your physical Descent products. Within Road to Legend, you’ll find a collection manager where you can input exactly which expansions, Hero and Monster Collections, and Lieutenant Packs you own. 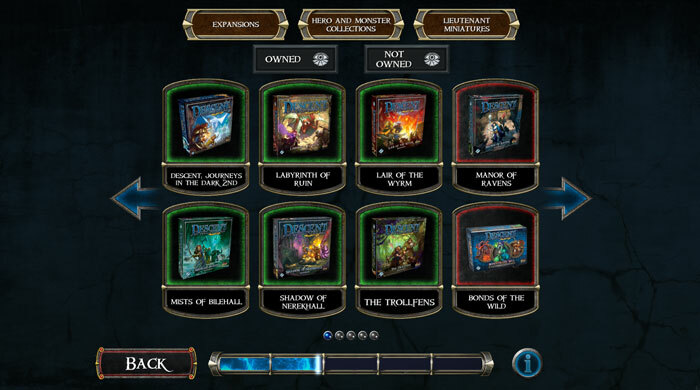 Then, the Road to Legend app draws directly upon the contents of these expansions to change the flavor of every quest. For instance, if you own the Manor of Ravens expansion, you’ll be able to choose to play as the heroes Alys Raine or Thaiden Mistpeak. If you’ve picked up the Oath of the Outcast Hero and Monster Collection, you may suddenly encounter a group of bane spiders in one of your quests. Ultimately, the more physical Descent products you own, the more you can get out of Road to Legend. The landscape of Descent has changed forever with the addition of Road to Legend. Prepare to become one of the greatest heroes of Terrinoth, and download the Road to Legend app for free from iTunes, Google Play, or Amazon today!